Finally, some good news for Tesla. Tesla is producing about 2,000 of its Model 3 sedans a week. That's a huge jump from three months ago, but still short of its target. And because production has ramped up, Tesla said it won't need to sell more stock to raise cash. That's a relief to investors, who worried that Tesla would face a cash crunch due to the Model 3's production problems. Moody's downgraded it further into junk bond status last week and warned more downgrades were possible. Shares of Tesla (TSLA) were up about 5% on the news. The company said it produced 2,020 of its first mass market car in the last seven days. It had promised to produce 2,500 a week by the end of the first quarter, which ended Saturday. It built 9,766 of the Model 3's during the quarter, up about 300% from the fourth quarter. Despite falling short of the 2,500 goal, the company still expects to raise production to 5,000 Model 3's week in the next three months. Model 3 production has been rough sledding from the start, casting doubt on whether Tesla will be able to break into the mass market car industry. In February Tesla said it had taken deposits and orders for more than 500,000 Model 3's in the last two years. But it;s built only 12,500 of the Model 3 since production started last summer. CEO Elon Musk has been hit with a lot of criticism about the Model 3 difficulties and more. The company's "autopilot" setting has also been under fire, after a Tesla Model X that was engaged in autopilot had a fatal crash last week. Despite the timing of that disturbing news, Musk made April Fools jokes about Tesla going bankrupt on twitter Sunday. On Monday, it was back down to business, and he tweeted that he was now managing the Model 3 production directly, and that he was sleeping at the Tesla factory trying to get things up to speed. Until recently, senior VP of engineering Doug Field had been overseeing both the Model 3's manufacturing and engineering. "My job as CEO is to focus on what's most critical, which is currently Model 3 production," he said. "So I'm back to sleeping at factory. Car biz is hell." 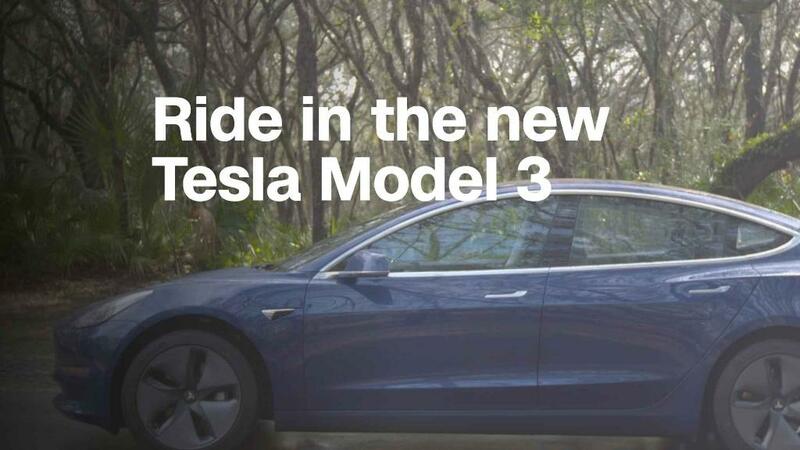 Tesla claimed in its statement that "if this rate of growth continues, it will exceed even that of Ford and the Model T." But it also acknowledged that a lot of people have been waiting a long time for Tesla to hit its goals. "We would like to thank our customers, suppliers and investors for their continued patience and belief in Tesla," Tesla added.